No obligation, find out what our systems could do for you. On all replacements and conversions, make the switch. For one year, ask for details on this amazing offer. Guthrie and Frey offers expert advice & value since 1974 in the Greater Milwaukee and Waukesha, WI areas. 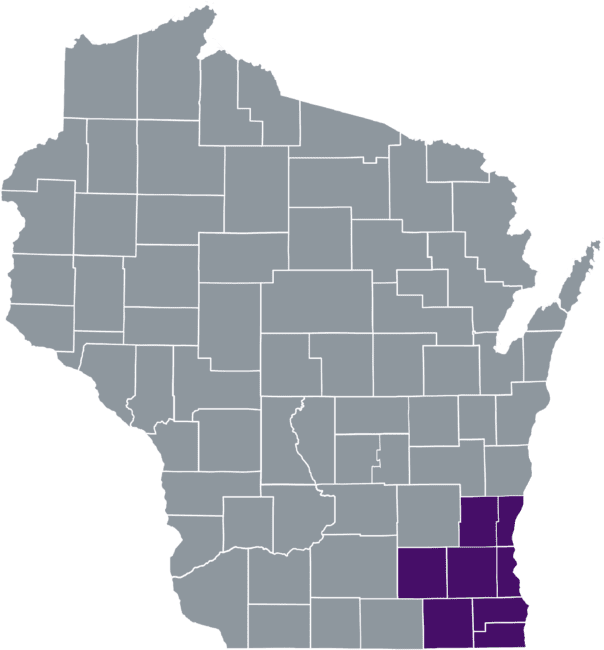 We service a wide range of customers – both residential and commercial in the greater Milwaukee and Waukesha area as well as all of Southeast Wisconsin. Water is considered hard if it contains excessive amounts of calcium and magnesium. This is what water softeners remove from your water. These minerals create scale which leads to reduced water flow through pipes. With hard water, there’s that nasty buildup that encircles your bathtub or shower. The Guthrie & Frey Reverse Osmosis System filters the water four times before it reaches your glass, giving your family healthy, crystal clear drinking water. High performance output delivers flavorful beverages, cleanly-rinsed fruits & vegetables, better tasting soups, sauces and meals. You could have great-tasting water at your fingertips. The Iron Filtration System from Guthrie & Frey solves a multitude of water problems by removing iron, sulfur and manganese from your water. The Iron Curtain dissolves these minerals and then filters them away, leaving clean, fresh smelling, good tasting water. No more iron stains, musty taste or bad odors. Save time and the hassle with our convenient Automatic Scheduled Salt Delivery! Guthrie & Frey will place the salt right into your brine tank on your scheduled day, perform a visual inspection of your equipment and haul the empty bags away. If you will not be home on the day of delivery, you may elect to leave a door open, provide a garage code, hide a key or give one to us to keep in our secure coded file. You may also elect for us to simply leave the salt on your porch. This is a no obligation, automatic scheduled salt delivery service that is set up based on your needs. Our drivers will follow your instructions, be neat, efficient and courteous.